Meet Arvind Shekhawat: Ronaldinho Might Just Be In India Promoting Amway Products! Ronaldinho Might Just Be In India Promoting Amway Products! 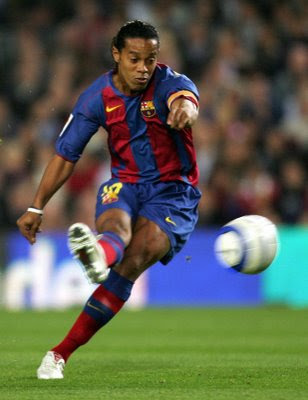 After Argentine football legend Diego Maradona, Brazilian World Cupper Ronaldinho Gaucho may visit Kolkata. Amway India, the second largest direct selling company in the US, is likely to bring him to India, its seventh largest market. Ronaldinho may come to campaign for the Amway brand of health products, which make 50% of the Amway India's market. William S Pickney, Amway India's chief executive officer and managing director, said: "Although Ronaldinho is Amway's global brand ambassador, our activities with him are concentrated mostly in the US, Latin America and Europe." for us," Pickney said. Mahendra Singh Dhoni, he said, is known to be endorsing 21 brands, which does not create an impression about brand loyalty.